THE BMW S 1000 R.
Is your heartbeat connected directly to the tachometer? 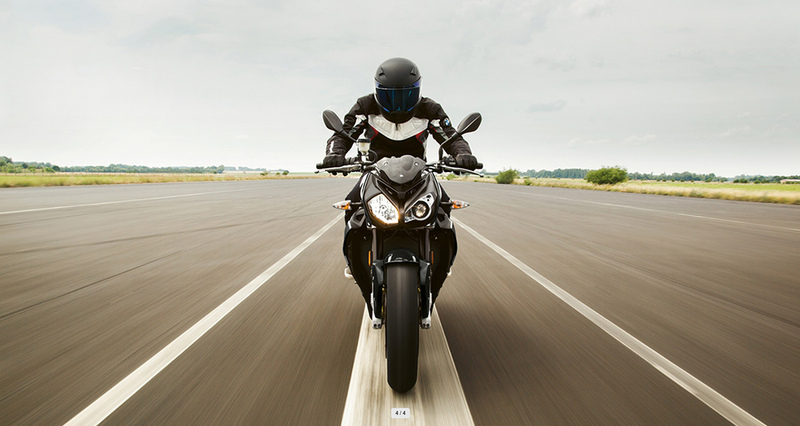 Then the S 1000 R is the Roadster for you - stripped down to the essentials, but maximising pure riding pleasure. Its aggressive engine with its 121 kW (165 hp) will put a smile on your face every time it revs up. And the rich sound of the new standard HP titanium rear silencer leaves no doubt: that's how life in the fast lane sounds. Some call it naked, we just call it concentrating on the essentials. The genes of its sister, the S 1000 RR, are quite clear: an aggressive tail-up/nose-down design, a distinctive split-face and characteristic gills. The greatly reduced side trim panel and precise colouring make it clear: the power delivery isn't the only thing here that's pure and uncompromising. 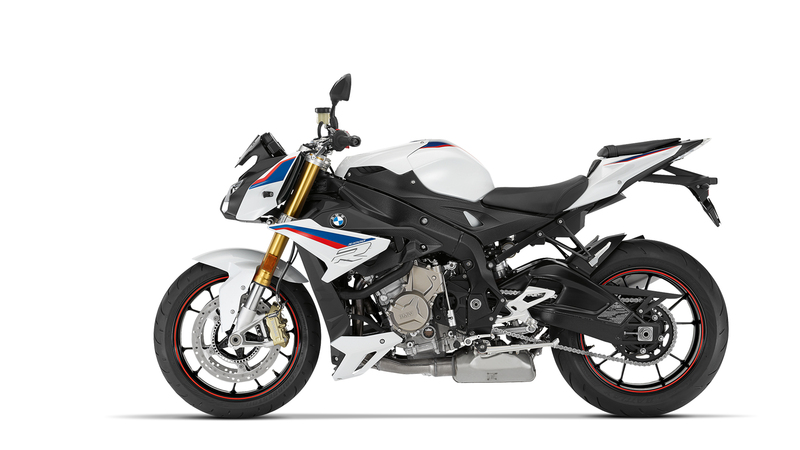 Three colours underscore the character of the bike: Light white/ Racing blue metallic/ Racing red, Black storm metallic and Racing red/Black storm metallic. The source of all dynamics: the engine. The high-performance 4-cylinder in-line engine, just like the rear, descends from the RR. We have increased the power again to 121 KW (165 HP). For an extremely linear torque and constant forward propulsion across the entire engine speed range. E-Gas lets you measure out this power even more precisely. And the race-tested Pro shift assistant lets you shift up and down without using the clutch: for more dynamics and shorter response times - welcome to the borderland. 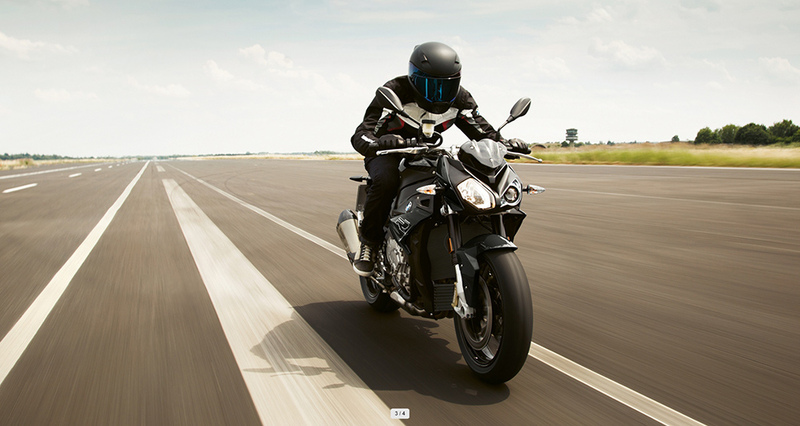 The S 1000 R gives you two riding modes as standard: "Rain" and "Road". "Rain" provides a gentle throttle response, with ABS and ASC adapted to wet road surfaces. Meanwhile, "Road" optimises throttle response, ABS and ASC for dry asphalt. Optionally, you can have two additional modes: Dynamic and Dynamic Pro. Then ABS Pro provides you perfect delay even when leaning, DTC, launch control and the pit lane limiter. Dynamic Pro on the other hand is the sharpest riding mode: this is where neither ABS nor ABS Pro are available on the rear wheel brake. At the same time, you can configure Dynamic Pro yourself in the user mode with your own settings. So there is really only one limit: your own personal one. Race ABS, ASC and two riding modes as standard. 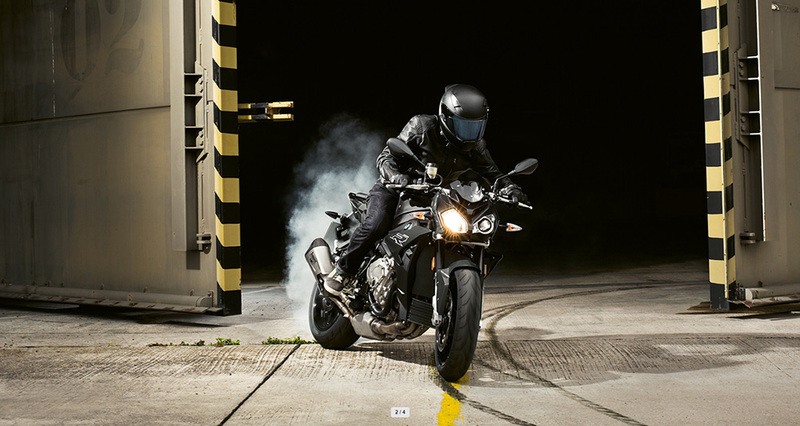 To optimally adapt to your requirements, the S 1000 R has the two riding modes "Rain" and "Road". Alongside the partially integrated race ABS, you also have the automatic stability control ASC on-board as standard - for a clear boost in terms of safety and performance. The functions can be switched off and on during the journey. Pro riding with ABS Pro, DTC, Launch Control and pit lane limiter. With the "Pro riding modes" special equipment, you can extend the technical repertoire of the S 1000 R with ABS Pro and with the two riding modes "Dynamic" and "Dynamic Pro". ABS becomes ABS Pro in the riding modes "Rain", "Road" and "Dynamic". Other features that come with this equipment are Launch Control for perfect race starts and the configurable pit lane limiter for exact adherence to speeds in the pit lane. Furthermore, the standard ASC is replaced with the dynamic traction control DTC with angular rate sensor. Shift assistant Pro for dynamic shifting. 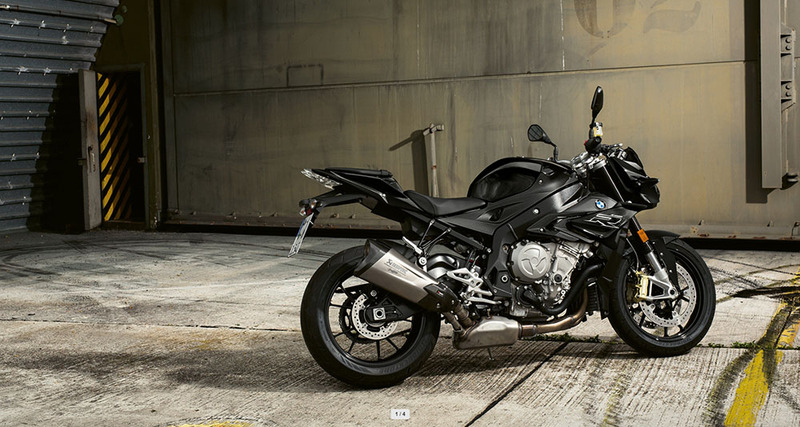 The optional Pro shift assistant in the S 1000 R is known from the RR and S 1000 XR. It enables you to shift up and down without having to actuate the clutch and consequently virtually without having to interrupt the driving tractive force: for increased sportiness and dynamics.